In a span of a week, the Dallas Cowboys have solidified their wide receiver group with the resigning of Tavon Austin to a one year deal and the signing of former Green Bay Packers Wide Receiver Randall Cobb. Despite the loss of Cole Beasley, the Cowboys have a created a really good group of receivers for Quarterback Dak Prescott to throw to. Cobb joins a really nice group of players that includes incumbent starters on the outside in Amari Cooper and Michael Gallup as well as solid depth players in Austin, Allen Hurns, and Noah Brown. Throw in Cedric Wilson, the Dallas Cowboys sixth round pick from the 2018 NFL Draft and the Cowboys may have one of the deeper receiving corps in the NFL. The question is, how will the Dallas Cowboys coaching staff delineate the roles? 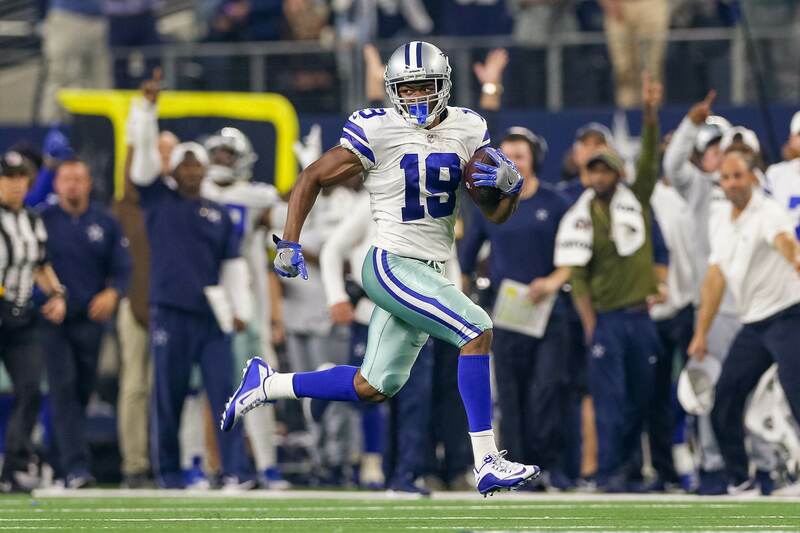 As I mentioned before, the Dallas Cowboys are returning their top two options on the outside in Amari Cooper, who is the X wide receiver and Michael Gallup, the Z receiver. Both players will go into week one as the starters at their respective positions in two-wide receiver formations. Despite some of the overthrows from Dak Prescott to Michael Gallup, Gallup had a really nice rookie season and got better as the year went along, even leading the Cowboys in receiving in the playoff loss to the Los Angeles Rams. In that game, Gallup recorded the first 100 yard game of his career. 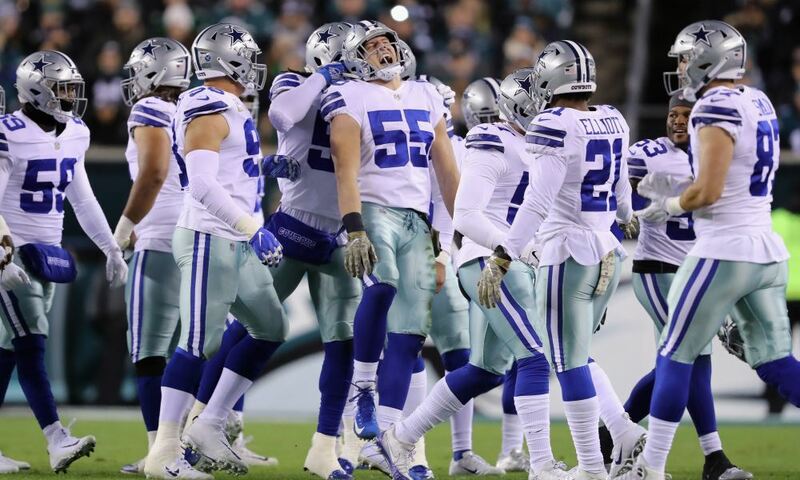 Sure, it was in an attempt to comeback by the Dallas Cowboys, but it is impressive nonetheless. His touchdown catch against the Seattle Seahawks the week before was clutch. The Cowboys needed that to take the lead at the end of the first half. 2018 was only the beginning for Michael Gallup. 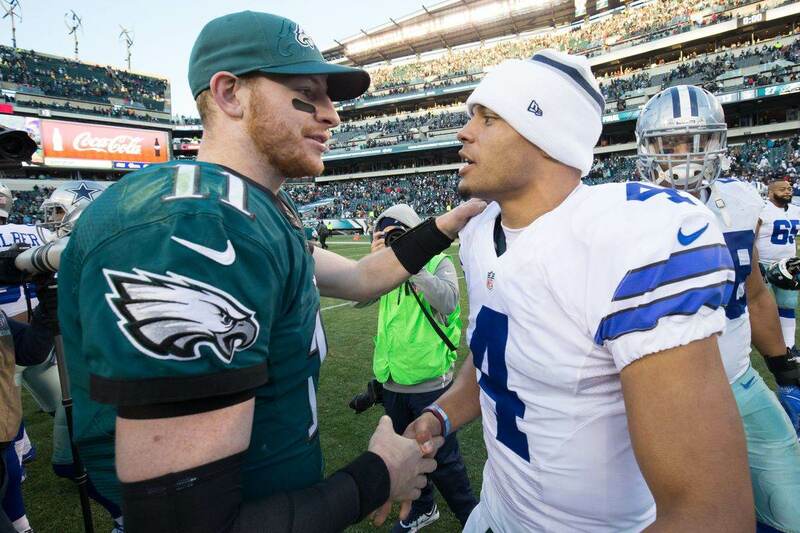 He showed an ability to win with a full offseason to work with Dak Prescott, their chemistry and connection should only improve. As for Cooper, his presence was felt right away as the offense just looked different once he stepped on the field. It's no coincidence that Dak Prescott's two best career games in terms of passing yardage came with Cooper in 2018. He's such a threat that he opens up space for the rest of the wide receiver group. His route running, speed, ability to run after the catch make him a threat to score any time he's targeted. Behind Cooper and Gallup, you have options in the event that one of them gets hurt. Allen Hurns, Tavon Austin, and Noah Brown are all players who took snaps on the outside for the Dallas Cowboys in 2018 and did so with effectiveness. Hurns best game of the year came just before the Cooper deal was made as he went for five receptions for 75 yards. Tavon provided down field speed on several occasions and provides some gadget quality that the Dallas Cowboys love to have. Noah Brown is a player that the Dallas Cowboys love to deploy as a blocker in the running game. While it looked like he might get more run in the passing game in 2019, the depth additions will limit him again to a specialty role. If needed, though, he could be an option to take snaps on the outside as his big frame allows him to box out defensive backs down the field. There will be snaps on the outside for someone when the Cowboys go to 11 personnel, because of Amari Cooper's ability to slide into the slot. Obviously, the writing is on the wall with who the Dallas Cowboys are planning on deploying in the slot as things stand right now, and that's Randall Cobb. While Cobb should be penciled in as the starter in the slot, I doubt that he's going to get 100% of the snaps there in 11 or 10 personnel groupings. Amari Cooper, Allen Hurns, Tavon Austin, Noah Brown, and Cedric Wilson could all push for playing time from the slot. Last month, I wrote a piece about Allen Hurns and his effectiveness in the slot and why the Cowboys should feature him there. With Cobb coming off an injury laden season, the Cowboys would be wise to give some snaps to Hurns along with Tavon Austin. In Jacksonville, Hurns was incredibly effective from the slot running posts, slants, and ins and outs. His size and route running made him an effective mismatch against linebackers, safeties, and cornerbacks alike. Remember, it wasn't long ago that Hurns had a 1,000 yard season with Blake Bortles at the helm. Tavon Austin's quickness is an asset that could be very effective in the slot as well. Though he lacks size, he's a player that opposing defenses have to account for because of his ability to make big plays once the ball's in his hands. The Cowboys haven't been shy about carrying seven wide receivers on their 53-man rosters and it's possible, though unlikely that they could do it again in 2018. As things stand now, I see Noah Brown and Cedric Wilson as the potential odd men out. Of course, this could all get reshuffled if the Dallas Cowboys use a top 100 pick on a wide receiver in the draft. 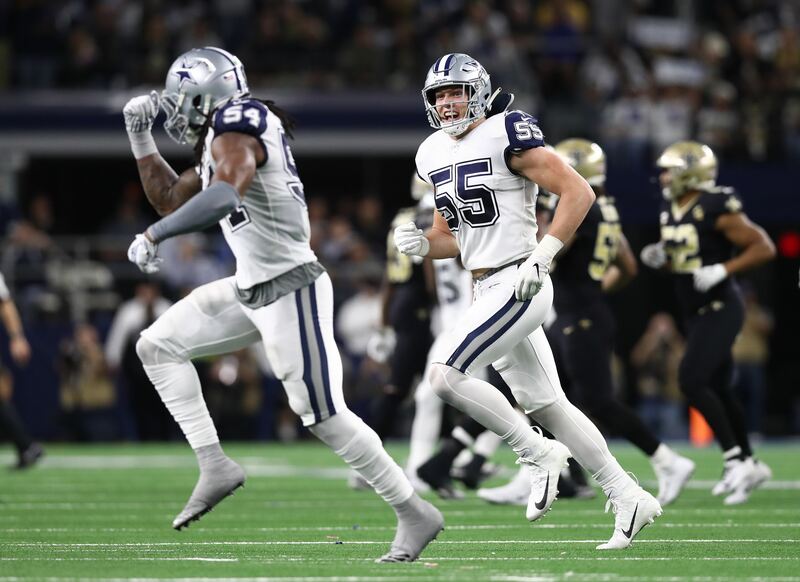 With Amari Cooper, Allen Hurns, Tavon Austin, and Randall Cobb only under contract through the 2019 season, the Dallas Cowboys would be wise to invest at the position despite the strength of the position in 2019.